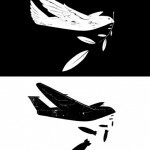 Discussions of war and peace are fraught with ambiguities, paradoxes, and outright contradictions. War has perennially been condemned, yet simultaneously accepted as unavoidable, even an intrinsic part of human ‘nature’. Peace is seen as the absence of war; yet war is frequently articulated and deployed with peace as its moral purpose – indeed, without the latter, war would not be just. In both, the defence and advocacy of peace seems to be precluded by the view of war as both innate and morally necessary. Both also suggest a tension between humans as embedded in biological and psychodynamic factors, but also shaped by their socialization and learning in broader cultural contexts. This panel will consider these issues and question conventional assumptions through the following questions: Why is that war is considered to be natural, but peace must be contrived, constructed and cultivated? How is it that peace is both the absence of and the product of war? Can a ‘spirit’ or ‘ethos’ of peace be developed? What would be the corporeal and cultural requirements for a more organic impetus to peace?